The apartment had character and it was a good size.the location is very good! 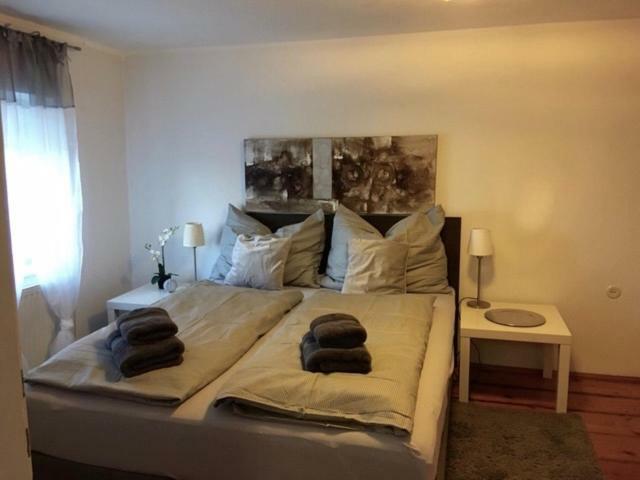 We loved the character of the building and the apartment, the big bathroom, and the convenient location within easy walking distance of all of the Salzburg old town sites we wanted to visit. Doris was an excellent, welcoming, and accommodating hostess. Our time in Salzburg wouldn't have been the same if we had stayed anywhere else. We loved the decor and how clean and stocked the apartment was.... we loved the great location!! Great location. Very spacious apartment. Very clean. Well stocked kitchen. Washing machine in apartment. 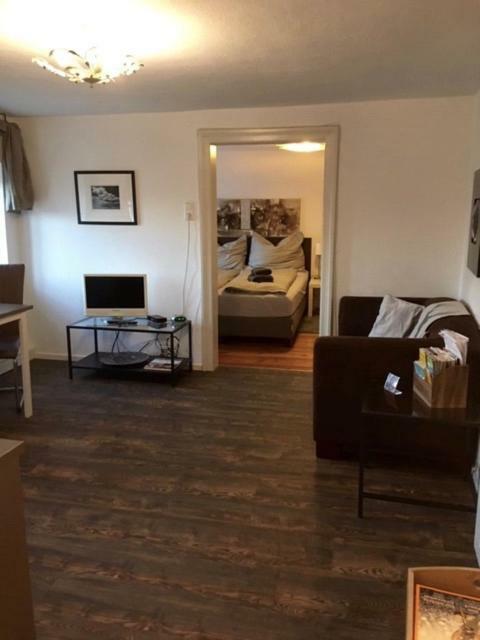 Lovely apartment in an excellent location. There is paid laundry room downstairs. We walked to all the local sights. The person in charge of giving us the apt key was very responsive. I asked for his phone number and WhatsApp him about an issue related to the shower. He came and addressed it. Good pre-arrival communication from the Host. Excellent location. Comfortable accommodations (like all the hotels in Europe we stayed at - the beds were harder than I like and could use some egg-crate foam on top of the mattress). The Mozart chairs looked awesome but at 1:30 AM it can scare the crap out of you when you see them in the dark and think it is a person in your room - hahahaha. Host also accommodated some of our special requests without any issues. Thank you! The host was on time and ready to meet us. They had a crib ready for us as requested. The flat is nice and in the old town of Salzburg. If we come to Salzburg again, we will book this flat. You can walk to a lot of sights and good restaurants. 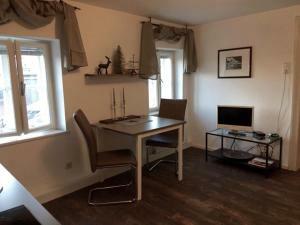 Location was excellent and the apartment had quirky features which we really loved. 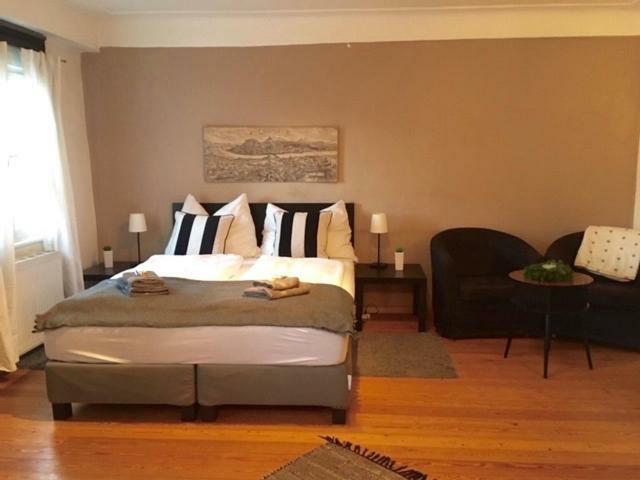 Lock in a great price for Mönchsbergapartments – rated 9 by recent guests! 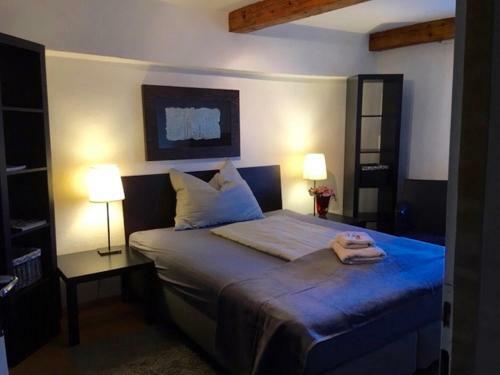 Located in the Altstadt of Salzburg, Mönchsbergapartments provides accommodations with free WiFi and flat-screen TV. Each unit has a microwave, fridge, a coffee machine, as well as a stovetop and electric tea pot. Some accommodations include a kitchen with a dishwasher, living room, and a private bathroom with bath. Hohensalzburg Fortress is a few steps from the apartment. The nearest airport is W. A. Mozart Airport, 3.4 miles from the property. 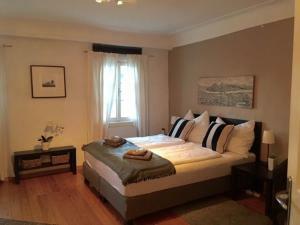 뀐 Located in the real heart of Salzburg, this property has an excellent location score of 9.6! When would you like to stay at Mönchsbergapartments? This apartment has a dishwasher, flat-screen TV and oven. This apartment features a tumble dryer, stovetop and flat-screen TV. This apartment has a washing machine, tile/marble floor and tumble dryer. Unsere Apartments befinden sich in einem historischen Gebäude aus dem 14. 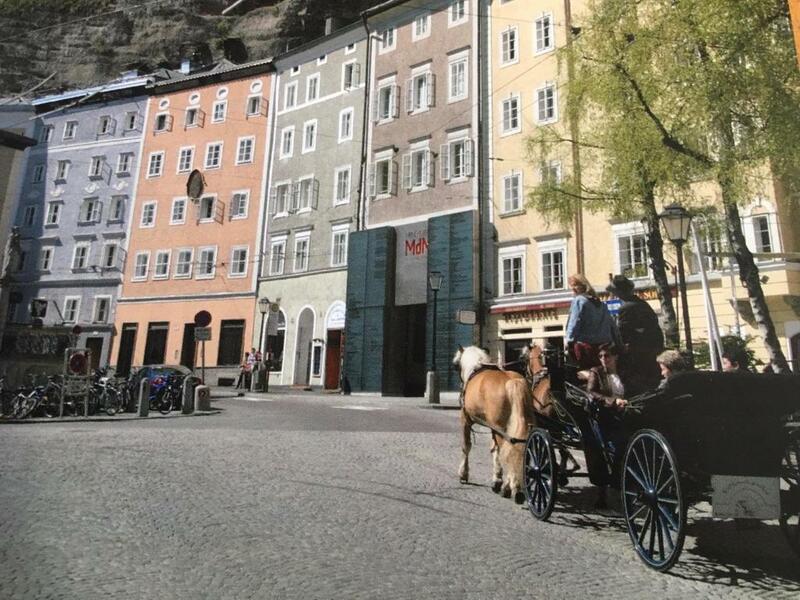 Jhd.mitten im Herzen der Salzburger Altstadt, das direkt in den Felsen des Mönchsbergs gebaut ist. Durch die zentrale Lage erreichen Sie fast alle Sehenswürdigkeiten in wenigen Minuten zu Fuss , die Getreidegasse in 2 Gehminuten und das Festspielhaus in etwa 5 Minuten. Alle Apartments verfügen über kostenfreies WLAN und Flachbild-Kabel-TV. Direkt vor dem Haus befinden sich diverse Haltestellen der Busse, die Sie sowohl zu Bahnhof oder Flughafen oder das Outletcenter oder zum Europark bringen. Zahlreiche Restaurants, Cafés und Bars befinden sich in unmittelbarer Umgebung. Wer mit dem Auto anreist, hat nur ein paar Schritte zum Eingang in die Mönchsberggarage. Sie geniessen von allen Apartments einen Blick in die Altstadt und auf die Festung. 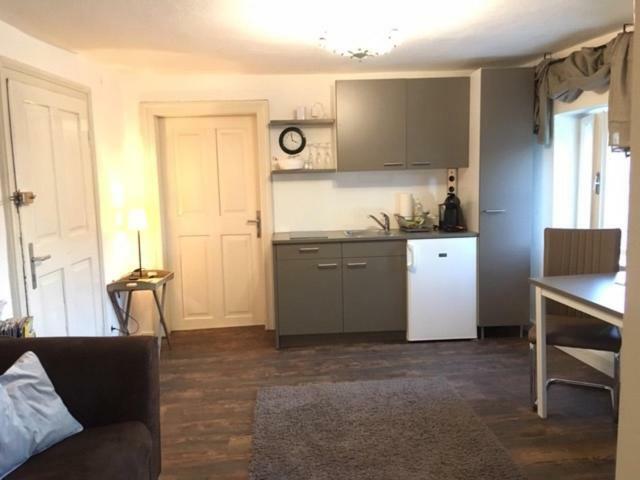 In den Apartments befinden sich voll ausgestattete Küchen inklusive Geschirrspüler, Wasserkocher und Kaffeemaschinen. Das Studio ist mit Kühlschrank, Kochplatte , Mikrowelle und Kaffeemaschine ausgestattet. Eine Waschmaschine und Wäschetrockner stehen gegen Gebühr im Haus zur Verfügung. Die Apartments befinden sich direkt in der Altstadt umgeben von zahlreichen Cafés wie dem Republik oder Café Rialto und Restaurants Humboldtstube, M32 oder Goldener Hirsch. Auch für Nachtschwärmer ist für ausreichend Unterhaltung gesorgt. wer dem Treiben der Stadt entfliehen möchte , gelangt mit dem Mönchsbergaufzug, der sich ein paar Schritte entfernt befindet , auf den Mönchsberg der " grünen Lunge" Salzburgs. Das "Haus der Natur" - ebenfalls ein paar Schritte entfernt - ist ein vielbesuchter Ort für Wissensbegierige . House Rules Mönchsbergapartments takes special requests – add in the next step! Please be informed that the properties central location in the inner city can result in noise disturbances especially on weekends. Please inform Mönchsbergapartments of your expected arrival time in advance. You can use the Special Requests box when booking, or contact the property directly using the contact details in your confirmation. The stairs, but it was manageable. We loved everything about the apartment there where no faults at all.. Unfortunately nowhere secure to store luggage on checkout day. Our top floor apartment was quirky, delightful and very well equipped. Stairs to the apartment are quite steep but you are rewarded with a great view over Salzburg. At first it seems strange that the main apartment, a separate bathroom and separate toilet each open off a landing, but actually it is totally private. Host was very friendly and helpful. 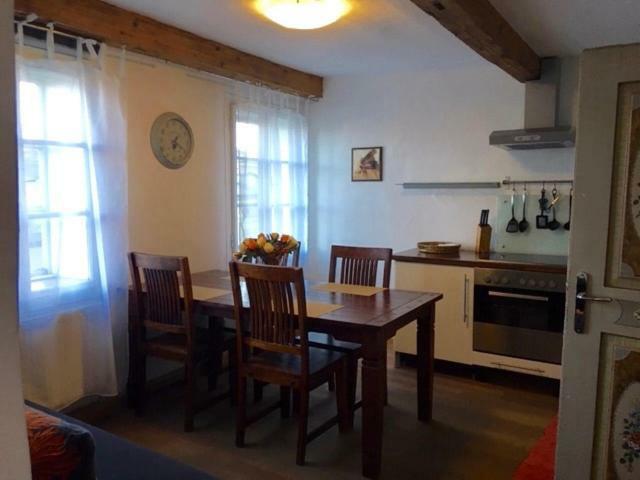 Location was excellent - very close to bakery, supermarket and restaurants, and to the Altstadt . In addition the bus to airport stops right outside the door. Would stay here again. Unit is on level 6 wihtout lift and will be difficult if you have heavy luggage. 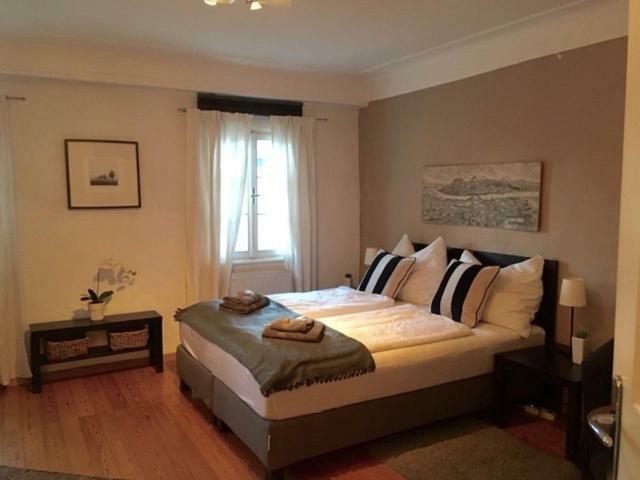 It is close to the centre and unit is big and comfortable. We were able to cook. There is a dolce de gusto coffee machine in the unit. There is a washing machine and dryer on the ground floor and is just 1 euro for 150 minutes. The unit has 2 bedrooms. Toilet and shower are outside the main unit but for exclusive use. Shower room is modern. We requested for slippers and Dorris provides 3 pairs the next day. Thank you! We read that check out time was before 11am, however the cleaning staff arrived at 9:40, used her key to enter the apartment and seemed irritated that we were still there...... we did leave the apartment at 10:15 to catch a 10:30 bus. A little noisy of a night with a night club in close proximity. The property was charming and very well located. Easy access to all attractions and restaurants and shopping. This is really a great place to explore the beautiful city of Salzburg. Highly recommend if you want to be amongst the action. The noise wasn’t great but mostly only on the nights that the nightclubs were operating. The shower either needs an industrial clean or to be renovated as there was mould and a very strong mouldy smell that seeped into the rest of the apartment if you didn’t keep the bathroom door closed. It was very roomy, plenty of space in the bedrooms and living area. The location was very central if you don’t mind a bit of noise. We were there on New Year’s Eve so it was great to get to the fireworks but I’m a very noisy area with several popular nightclubs very close. This wasn’t mentioned in any of the information. With children, this wasn’t ideal. Stairs: too narrow. Best to carry small luggage. Heater: Not hot enough. The noise from the nightclubs/bars next door went on until 5am - groups of people gathering in the street outside shouting - there are earplugs on the pillows for good reason! Did not get a good nights sleep on friday or saturday night because of this - the apartment is on the first floor so it's right outside. This is really the only negative - but it's a big one and means I wouldn't stay here again. The apartment had three bedrooms but there was no living room and no couch. One of the bedrooms had a TV, table with chairs and a bed. It worked OK for us as we were only 2 people. The lack of a separate living space may be an issue for others. No microwave although it was advertised as having one and the stairs are not for the faint hearted. Location and the apartment was spacious and spotless.